I wish I knew more about this young lady. She has an infectious smile. Her dress is frilly and has rows of lace. Judging by her attire, my guess is that she is a “dancehall girl” or actress. Perhaps a viewer of this vintage old photo postcard has another opinion as to the story behind this image. Please share via leaving a comment. Some might consider this photo a bit risque. 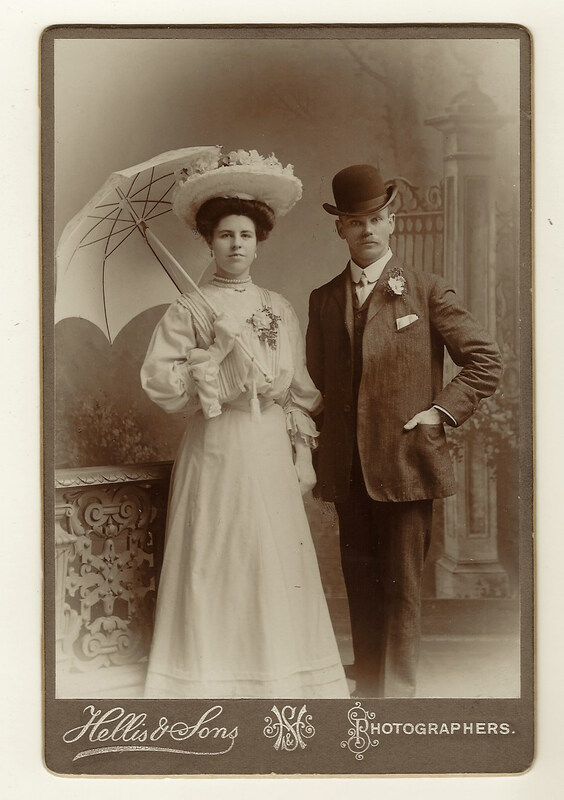 The woman seen in this image is wearing a very short dress for her era. An ink stamp on the reverse of the postcard reveals that this photograph was taken at the Avery studio. We only know that the studio was located on King’s Cross Road. King’s Cross is an area located in Central London. It may follow that Avery’s studio was located in London. 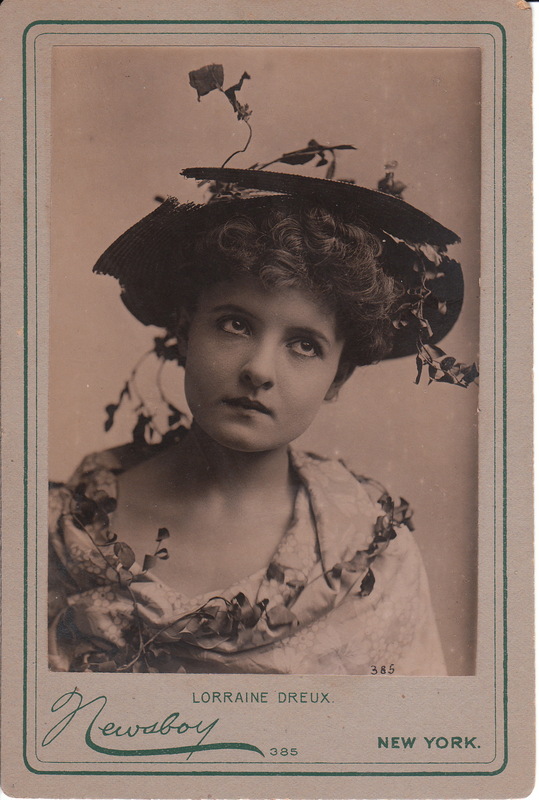 This cabinet card is a portrait of theatre actress, Lorraine Dreux. The image is part of the Newsboy Series (#385) and was published in New York City. The Newsboy series was used for advertising purposes by the Newsboy Tobacco Company. Celebrity photographs were given away as premiums upon the sale of tobacco products.To view other Newsboy photographs, click on the category “Newsboy”. Ms. Dreux looks like she ran through the woods in order to arrive at the photography studio in a timely fashion. She has twigs and leaves on her head and even is wearing a necklace of branches around her shoulders. It seems she is modeling “the natural” look. Her eyes are looking upward, as if to say, “Am I really wearing sticks and leaves?”. Who was Lorraine Dreux? The Illustrated America (1893) describes her as “young and pretty, with soft dark eyes, a tremulous little mouth, and a dazzling complexion”. She was born in Marquette, Michigan, of well to do parents. Her father did a great deal of business in the East and she spent much time on the banks of the Hudson River in New York. She was educated at home by a governess supervised by Dreux’s beautiful mother. She decided that she wanted to be an actress while in her early teens. Her parents reluctantly gave her permission and her first experience acting occurred while she was in London, England, with her mother. She was engaged by Mr Charles Wyndham to play comedy parts in London stage shows. She next joined the London Globe Theatre Stock Company playing sentimental roles. She then joined an English traveling theatre company. She soon returned to America and appeared in a number of plays, including “Ninety Days” with William Gillette. The article closes with the prediction that Dreux would be a successful actress in America because she possessed both beauty and talent. The New York Times (1894) reported on Dreaux’s appearance in “Lem Kettle” at the Bijou theatre. She also appeared in “Rush City” (1894) which was staged in Brooklyn (New York), and also in “Nance Oldfield” (1896) in New York. The latter show starred Rose Coghlan and her portrait can be seen in the Cabinet Card Gallery by placing her name in the “search box”. Dreux appeared in one Broadway production, “The Spectator” (1896). The New York Dramatic Mirror (1908) reported the tragic death of Lorraine Dreux. She was described as a well known and capable leading women of many stock companies outside of New York City. She died in New York’s Bellvue Hospital at age 35. The article reports that she “had fallen on evil days” and was “too proud to let her friends know of her plight”. She let an illness go till it turned into acute pneumonia which led to her death. Her last two engagements were in Worcester, Massachusetts and Rochester, New York. She received excellent reviews for her acting in both productions. However, her wardrobe was stolen and she was criticized for the way she dressed for her part in Rochester. She returned home “down hearted and discouraged” and sick, penniless and homeless. She met an old friend on the streets of New York who took her home to be fed and cared for but her condition worsened. A collection was made from other actors and actresses and the money was used to admit her to Bellvue Hospital where she died. Aid from the Actors Fund paid for her funeral and burial at Evergreen Cemetery. The second cabinet card portrait above, features Lorraine Dreux and her “Bette Davis eyes”. In this photograph, Miss Dreux has remarkable striking eyes. She is gazing directly at the camera. Many cabinet card portraits of actresses captures them with averted gaze. For example, the majority of cabinet card images of Sarah Bernhardt, that I have seen, has the celebrated actress staring away from the camera. Modern neuroscience has demonstrated that people find attractive faces with direct gaze are “more rewarding” than faces with averted gaze. This particular cabinet card is a bit risque as a result of Dreux’s relatively plunging neckline. This portrait was taken by Benjamin Falk, the celebrated New York celebrity photographer. This vintage real photo postcard features a handsome couple out for a ride in the English countryside. The couple are well dressed for their ride in a beautiful open car. 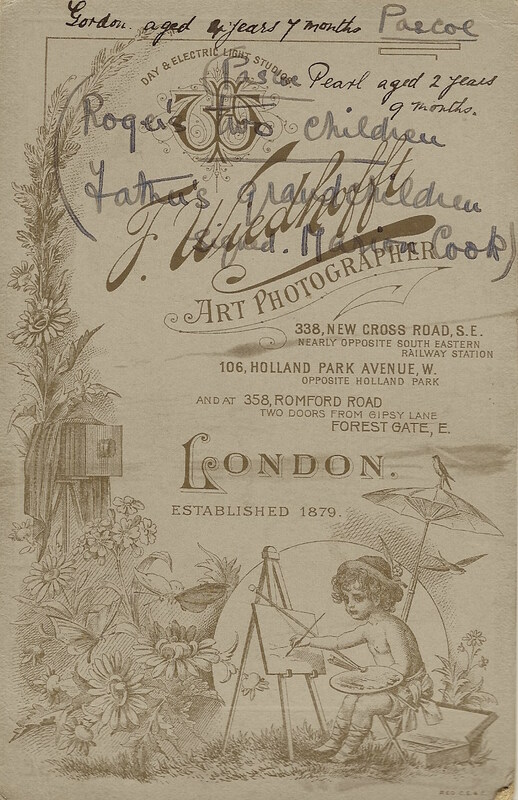 The reverse of the postcard indicates that the photo postcard was produced by M & S which is the abbreviation for Misch & Stock of London, England. Printed information on the reverse also states that the photograph may have been from the area of Cliftonville, which is a coastal location in the town of Margate. The postcard stock itself, was produced by Crown Studios sometime between 1913 and 1929. 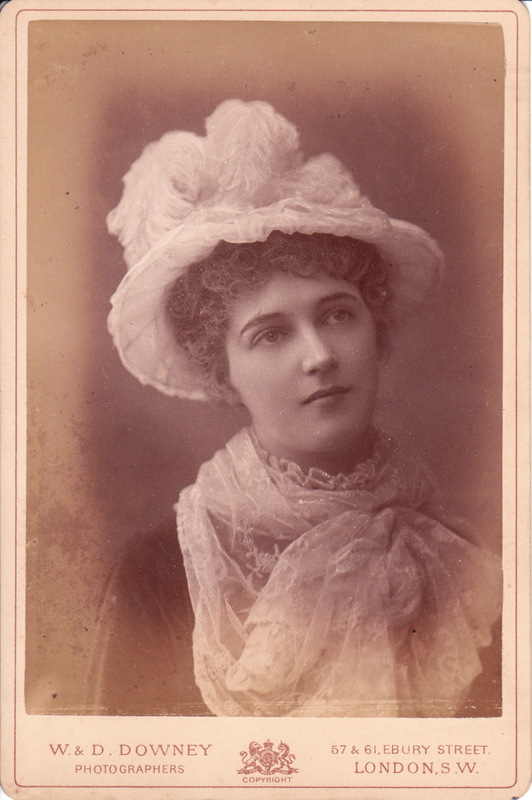 E. Davey Lavender is the photographer of this cabinet card portrait of a pretty well-dressed woman in Bromley, England. Bromley is a suburban town located outside of London, England. The woman in this photograph is is flashing a half smile as she sits beside a newspaper on a table. 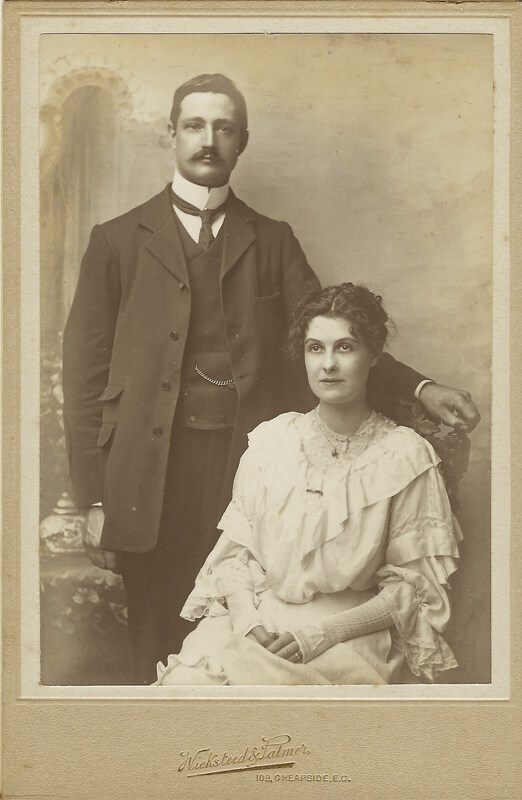 Edgar Davey Lavender was born in Westminster in 1855 and was married to Harriet Lavender (b 1869). Records indicate he operated his studio in Bromley in 1881 through at least 1891. In 1901 he was located in Grove Park (another suburb of London). Lavender died in 1909. 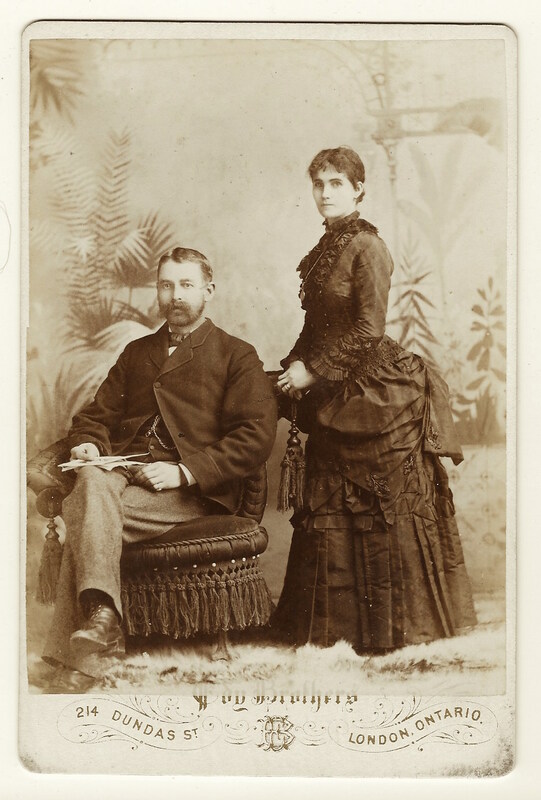 Printed on the cabinet card are a few items of note. First, both the front and back of the photograph are marked (“Gold Medalist 1889”). This likely signifies that Lavender won a gold medal for his work at an exhibition in 1889. This accomplishment is being used as an advertisement. 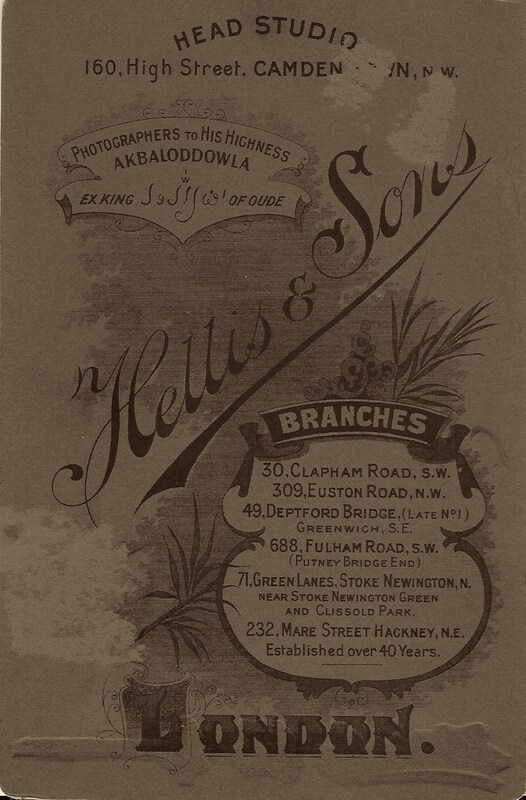 The second noteworthy item is that on the reverse of the photograph his business is referred to as “Portrait and Equestrian Studios”. It is my belief that the term “equestrian studio” means that Lavender had the ability to photograph people on horseback and produce photographic portraits of horses. British stage actress, Cissy Grahame is the subject of this portrait by the famed London photographic studio W. & D. Downey. She looks quite beautiful in her lace scarf and feathered hat. Grahame was born in 1862. She was the daughter of an actress and she took her first stage role at the age of thirteen. Three years later she was hired to the stage by Mr. Wilson Barrett and soon thereafter by the Kendal’s. As she progressed in her theatrical career she added theatre management to her repertoire. To view other photographs by the Downey studio, click on the category “Photographer: Downey”. Two adorable children pose for the camera at the Wiedhofft studio in London, England. The kids don’t look very comfortable during their photo shoot but try their best to cooperate with the photographer. The children are cute and dressed fashionably. The person that dressed them seems to have favored lace. The little girl’s bonnet has two long “tails” streaming down to below her knees. Note that the little girl is holding the boys arm in a bid for security. 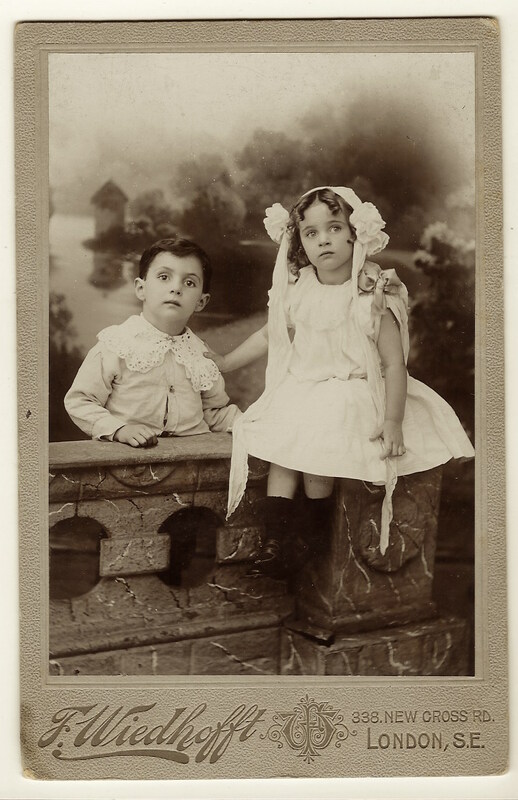 An inscription on the reverse of the photograph (see image below) provides some clues to the children’s identity.The children are siblings and their names are Gordon (age 4) and Pearl (age 2). Their last name appears to be Pascoe and their father’s name was Roger. Identity information was provided by “Marion Cook” who signed the back of the photograph. The photographer of this portrait was Frederick Wiedhofft and his studio was established in 1879. The back stamp indicates he operated three studios in London. Wiedhofft was born in 1854 in Clerkwell, England. He died in London in 1910. He was married twice. His first wife was Clio Newton and their wedding was in 1880. His second wife was Maria Wedlake who he married in 1899. Maria was listed as his housekeeper in the 1891 census and like Frederick, she was a widow. Wiedhofft began his work career working in a family business that sold oils and paints. He became a photographer in 1897. After Frederick died, his step-son, William Henry Orme Wedlake took over the photography business.